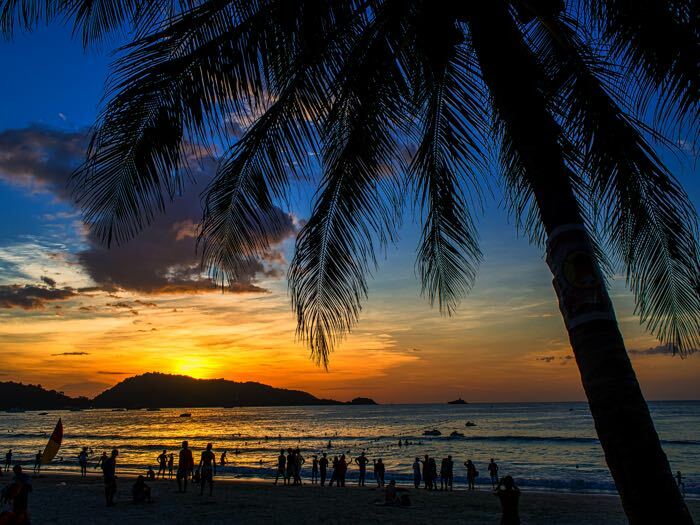 People gather on Patong beach to watch the sun slip below the horizon. We spent our last day in Phuket doing touristy stuff after I covered memorial services for victims of the 2004 Indian Ocean tsunami. This was our first time to Phuket. Patong has been in the news a lot the last couple of years for the terrible condition of the beach. There was reportedly very little actual beach left because vendors had staked out the beach and harangued tourists into renting lounges, mats, and umbrellas. Restaurants offering mediocre and overpriced seafood lined the beach road and generally made for a pretty bad beach going experience. 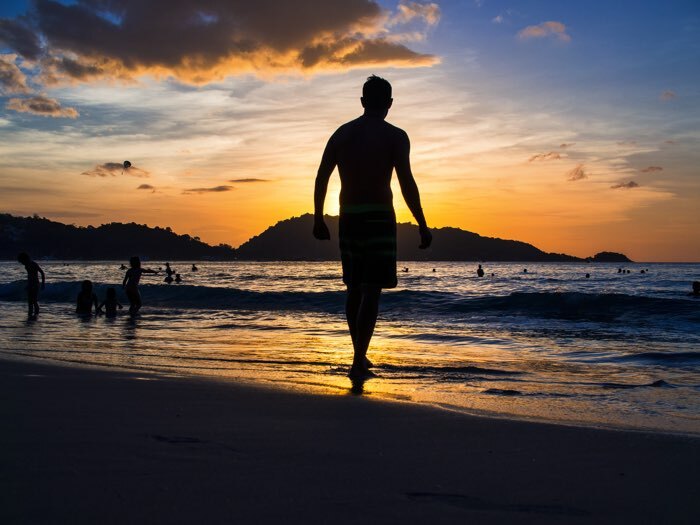 A man walks along the beach at sunset. One of the first things the military government did after the coup was to "clean up" Phuket. One day soldiers came down to the beach. They kicked the vendors off the beach, closed the restaurants and work crews cleaned it up. One of the advantages of running a military government is that people seldom argue with you. The beach was transformed in about a week's time. Walking the beach at sunset is not a bad way to end the day. 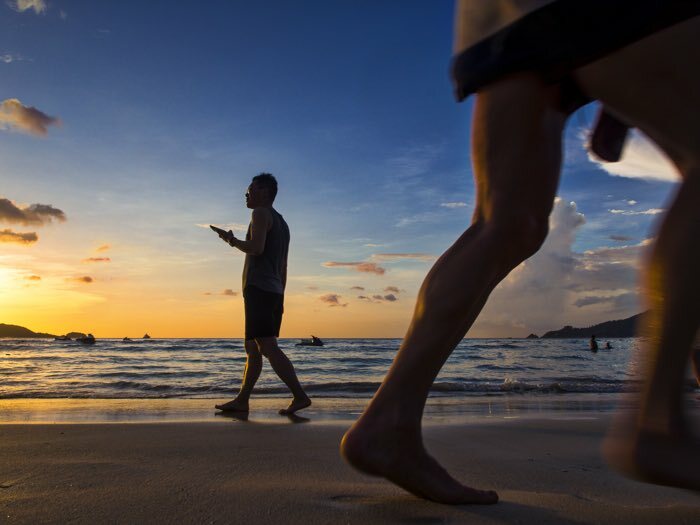 A jogger passes a walker on the beach. On a technical note, I processed these photos through Lightroom, using my normal workflow, then I exported them to Intensify by MacPhun. I've had Intensify on my computers for a while now but never used it. I like what it does for beach sunsets though, it's kind of like the old days when my film of choice was Fujichrome Velvia.